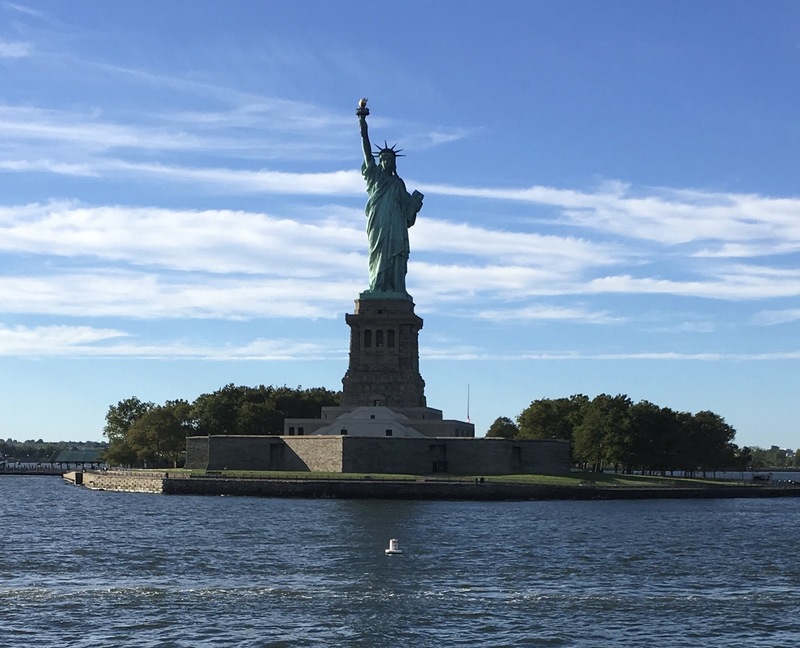 Recently I jetted off to The City That Never Sleeps with my sister Sarah for a little holiday and enjoyed every single minute of it. Here's a summary of our travels and what we got up to. We flew into the city on Virgin Atlantic Premium Economy, and it's a service that I would definitely recommend. The staff could not be more helpful and lovely, which is why Virgin is an amazing airline to fly with. Once in the city, we checked our hotel which is smack bang in the middle of Times Square - I'm not even kidding. Walk out the door and you're caught in the hustle and bustle of the most popular tourist area in the world. We then found the Times Square Diner, a place I would go to for lunch again in a heartbeat as it's not too far away from all the action, but isn't within the tourist trap of Times Square prices. We then went for a walk around the area as it was a lovely day, a few pictures of which you can have a look at below. Our first proper day in New York meant the start of the bus tours, and we went with Big Bus Tours (which are great) and headed downtown. Before that though, it was a visit to Kellogg's NYC where you can make your own breakfast with your favourite Kellogg's cereal, a choice of milk and toppings including marshmallows and green tea powder to name a few. When you've made your order, you get a little buzzer thing and it can be collected from a little locker (demonstrated in the pictures below). Pretty cool - the way breakfast should be served everywhere. We went on the Downtown tour and I took lots of pictures as you can imagine, and we stopped at the 9/11 Memorial and Museum as it was going to be shut on the Sunday for the 15th anniversary. I was only 6 in 2001 so don't remember anything of the attacks, but it was a very sombre atmosphere around the museum as everyone was taking in the horror of what happened almost 15 years prior. It was very harrowing but also very eye-opening. Some of the pictures of what's in the museum are below, it may be upsetting for some. These are the missing posters of those who didn't return home on 9/11 - this made me cry the most! 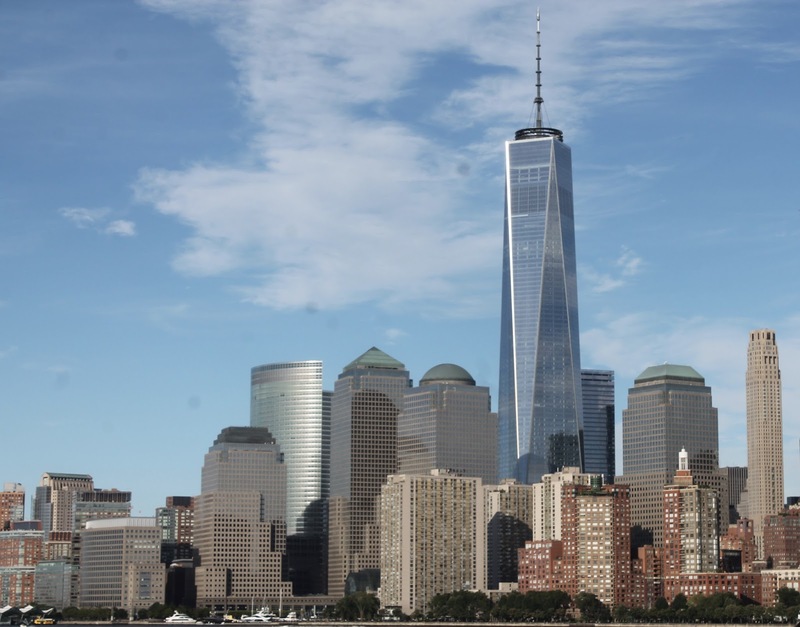 The Downtown tour continued after the 9/11 memorial with seeing the Flatiron Building, a visit to Wall Street and Chinatown, as well as the expensive district of Soho. The photo above is of Trump International Tower, something the guides didn't talk too much about weirdly enough. What I love about New York is how tall the skyscrapers are; they make you feel so small and it's such a special feeling. This is why it's one of my favourite cities in the World. Sunday first entailed watching the 9/11 fifteen-year anniversary memorial on TV and going to get breakfast the Kellogg's cafe again (Sarah loves that place!). We decided to go on the Uptown and Night tours on Sunday, especially as they had the tribute of light where the Twin Towers once stood that you could see from many places around the city. On the Uptown tour we visited Central Park and Strawberry Fields, the pictures of which you'll see below. It's so vast and there's so much to see and do in Central Park, as well as checking out where John Lennon was famously shot by Mark Chapman (it's not much, just a step). That evening Sarah & I went our separate ways for a bit and I headed to the South Seaport to get a Hornblower Ferry trip around the Brooklyn Bridge, next to the Statue of Liberty and with great views of Jersey and the highline - the views were STUNNING and I took lots of pictures (including the one at the top of this post). The night tour was great too, with the Statue of Light being a great and symbolic thing to see. I didn't get many pictures of it as I couldn't get my camera to focus properly, so I'm not going to put any of my bad photography on here. Monday was one of the more chilled-out days of our trip. I had a meeting in the morning which went really well and then we went for a spot of shopping (I was happy but my bank balance wasn't). The evening meant heading over to Brooklyn for a New York Yankees game, which was awesome. The atmosphere was buzzing and even though the Yankees lost and I don't know a lot about baseball, it was a great experience. Tuesday was our last full day in the city, even though we didn't actually spend most of it there. 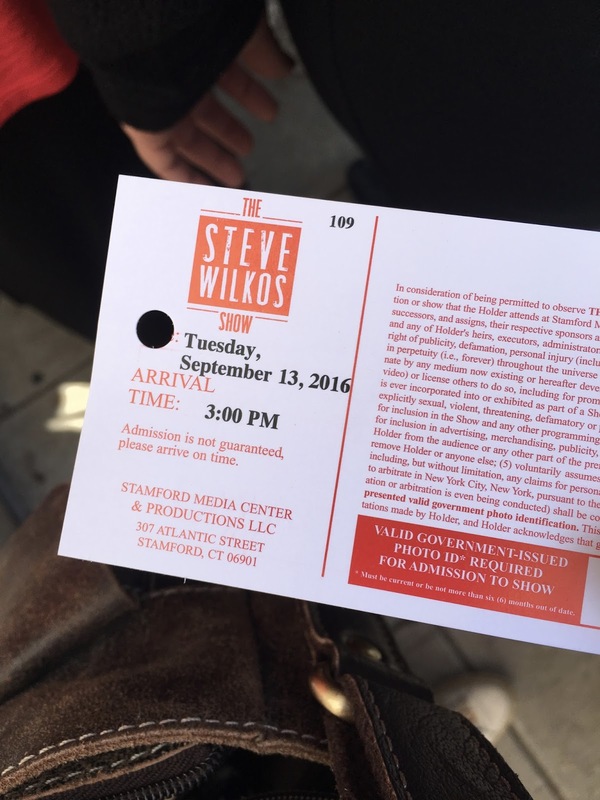 Sarah was lucky enough to receive tickets to the taping of Steve Wilkos (google it) and we got to see Grand Central Station as we got on the train to Stamford, Connecticut to see the show. Our episode is airing soon, I'm so excited to see if I'm on the telly! Wednesday was a sad day, as we had to say goodbye to the great city of New York. Both Sarah & I had such a great time and I'm sure we'll be back soon. Follow me on Twitter to keep up with what I'm up to and follow Sarah too if you would like.